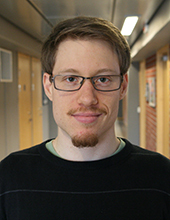 Erik Blomberg is a PhD student in the Remote Radar Sensing group and his work is focused on simulating and analyzing radar images of forests. This research aims to improve the measurement of forest parameters, such as biomass, over large areas using air- or spaceborne synthetic aperture radar (SAR). There might be more projects where Erik Blomberg participates, but you have to be logged in as a Chalmers employee to see them.